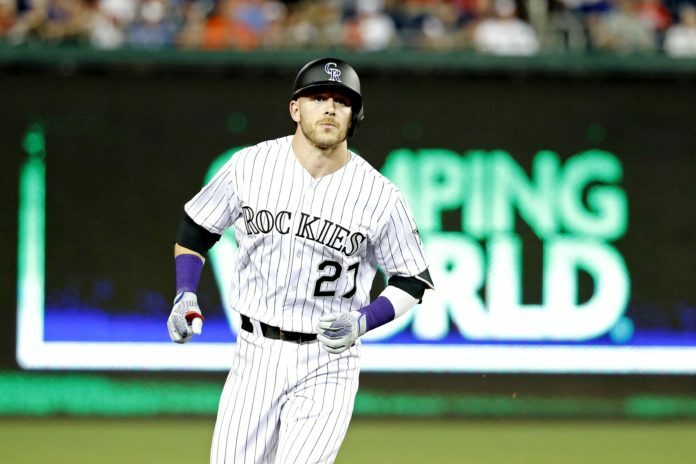 Trevor Story‘s solo home run in the seventh inning of Tuesday’s All-Star Game tied the contest at 2-2… and what was a baseball game turned into something like a pinball machine from there on. The Rockies’ shortstop, in his first at-bat of his first All-Star Game, blasted a Charlie Morton pitch into the left-field bleachers at Nationals Park in Washington. 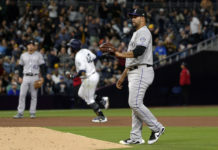 Story, who finished the game 1-for-2 with that home run and a strikeout in the ninth inning, also finished off the Rockies’ first half of the season in style with a game-winning, walk-off home run on Sunday over the visiting Seattle Mariners. His home run was the third hit by a Rockies player in an All-Star Game, following Matt Holliday in 2008 and Todd Helton in 2003. Story, whose 68 RBI at the break set a new National League record for shortstops, fared better than the Rockies’ other two All-Stars — outfielder Charlie Blackmon (0-for-3, K) and starting third baseman Nolan Arenado (0-for-2, BB, K). The game featured 10 home runs, shattering the old All-Star Game record of six, and 25 combined strikeouts, a near-perfect encapsulation of what’s made baseball both thrilling and banal in 2018. 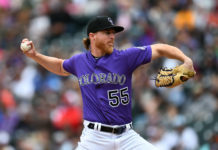 Story, Arenado, Blackmon and the rest of the Rockies (51-45) will be back in action on Friday, when they travel to Arizona to take on the second-place Diamondbacks in a three-game set.